Listing of professional art appraisers located in the state of California. Having a current art appraisal of the artworks you own is very important in case of damage or loss. We strongly suggest that you always have a up to date appraisal of your art and artworks. That way you will know the artworks value and can contact your insurance agent to make sure the artwork is covered for the correct value. There are several types of appraisals and they represent different values. A good qualified and professional art appraiser can explain and help you in deciding which type of art appraisal you need. You will also find additional information, on our Art Appraisals guide, which features appraisal associations. 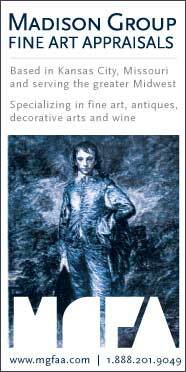 Expert appraisal of Fine Art for individuals / Museum Collections/Estates. We often set record brokering prices. Also, antiques, rare historic items. Nationally respected-25 years experience-USPAP compliant! We have appraised millions of objects. Licensed, Insured. As seen on television! Specialists in Paintings, Watercolors, Drawings, Prints and Sculpture: 19th Century, Impressionist, Modern and Contemporary. Certified appraiser since 1989. We work with private collectors, estates, insurance adjusters, attorneys, CPAs and institutions. All appraisals we prepare conform to the best practice of the Appraisers Association of America, the Uniform Standards of Professional Appraisal Practice and the IRS. Art Asset Management Group Inc.
Also available to serve as an expert witness and consultations.